The role of the Broken Hill City Youth Council is to represent the overall voice of the Broken Hill Youth. Members of the Broken Hill City Youth Council are encouraged to use their position to make a difference and contribute positively to the community. Check out the Broken Hill City Youth Council Facebook page for more information. The Broken Hill Regional Aquatic Centre is a local community aquatic centre. 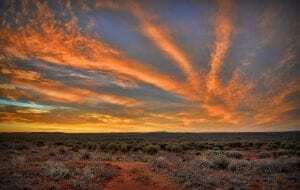 The centre is a community partnership between Broken Hill City Council and YMCA NSW that believes in giving back to the community and provides a large range of goods and services. The Broken Hill YMCA is a community centre that provides health, fitness and creche services. The centre focusing on giving back the the community. 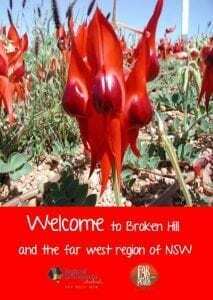 Broken Hill Youth Accommodation Support Service Inc. The Broken Hill Youth Accommodation Support Service provides safe, secure and affordable housing for homeless youth and those at risk of homelessness. Headspace provides easy, seamless and discreet support to young people experiencing mental health issues and wellbeing, mental health, general health, drug and alcohol services and work and study support. Established in 1945 the club has prided itself on opening its doors to all youth in the community in the pursuit of getting young people active, developing their skills, character and leadership and ultimately reduce and prevent crime by and against young people. Mission Australia’s Reconnect is a federally funded and community-based program supporting young people between 12 – 18 who are experiencing homelessness, or are at risk of becoming homeless. School holiday programs are run by the Broken Hill City Library , PCYC and YMCA. Located in Sturt Park in Broken Hill, on the corner of Sulphide and Wolfram Street. The skate park features a colourful steel street course. Youth Frontiers is a NSW government youth mentoring program that focuses on students between the ages of 12 and 16, who would benefit from the support of a mentor. The program provides under-engaged young people (mentees), with the opportunity to be mentored by a local volunteer adult to work collaboratively on a community project of their choosing, whilst giving the opportunity to build life skills and self-confidence and achieve recognition for their contribution to the community. Check out the Youth Frontier’s Western NSW Facebook page for more information.